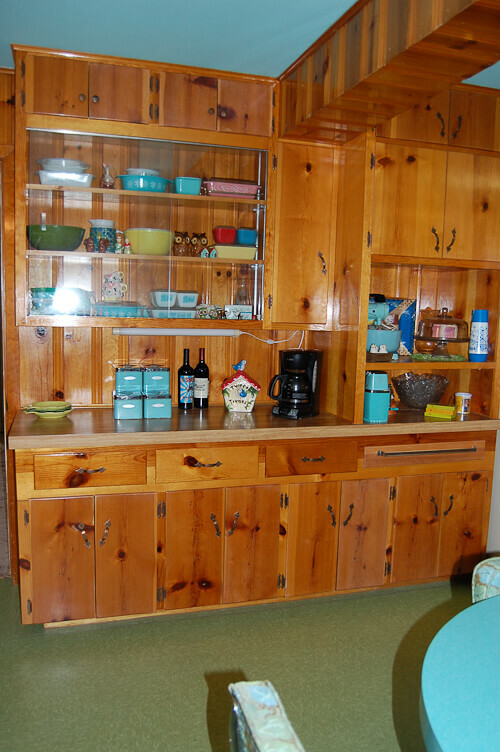 Home » Kitchen Help Category » Readers and Their Kitchens » ‘Betty Crafter’ says, Yes to the Knotty Pine! ‘Betty Crafter’ says, Yes to the Knotty Pine! We just bought the house less than a month ago so we have a long way to go, but here’s our short story so far! 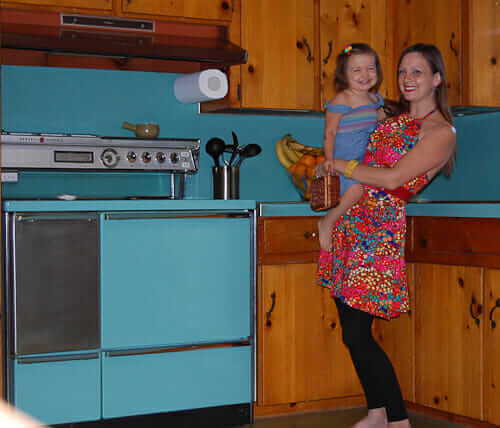 My husband and I decided to move because although we lived in a pretty fab 50’s house in a great location, it didn’t have the original kitchen and bathrooms I’d always wanted. Just before our house hit the market, I saw this one online. I almost stopped breathing. I really didn’t think a house like this existed! 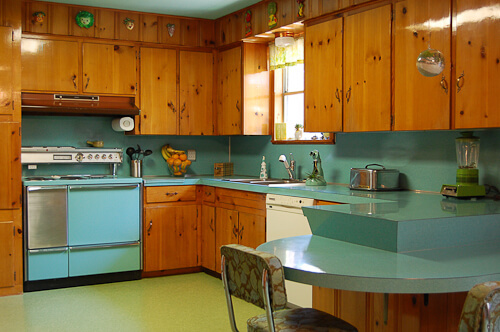 Turquoise counters? Knotty pine paneling in half the house? A pink AND a green bathroom? Fireplace? Creek? Barn? “It looks like the inside of a Spartan trailer!” I squealed. Well I was so insane for this house that the hubs and I drove there and convinced the seller to show it to us herself! Upon seeing it in person I was even more sure this was home. It’s a miracle we ended up here because we weren’t the only ones who loved this house. But luckily for us the other offers fell through just about the time we got offers on our home, and here we are! We don’t want to change much because the house is pretty much perfect. We tore up the carpet to install green apple VCT in all the areas with the knotty pine paneling and hardwoods in the rest of the house. 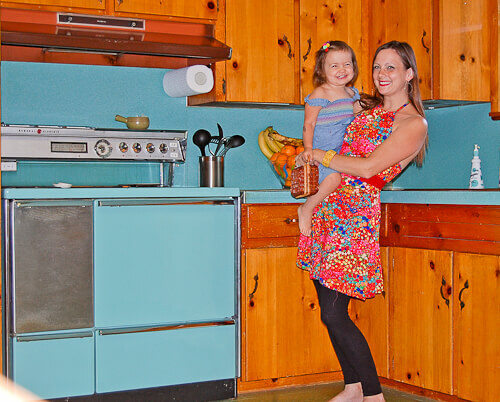 The turquoise stove and bar chairs came with the house – lucky us! Otherwise it’s all original. Is it possible to be in love with a physical object? I could not love my new house any more. Also, I’ve started a blog — Betty Crafter — to chronicle our caretaker and preservation efforts if anyone’s interested… The pink bathroom has an unfortunate 80’s vanity, but I found a pink wall hung sink for $5 on the forums here that will be going in soon. Then some fresh paint inside and out and a Crestview Door and we’re done! My main concern is preserving what’s here. There are a few stains on the counters, and I’d like to find the best way to clean them and protect them from future stains. I also need to give my paneling the “Eartha Kitsch treatment” but they are in pretty decent condition as is. Also, in one of the first shots I sent, that is a NuTone Intercom/Radio that even goes out to the barn! 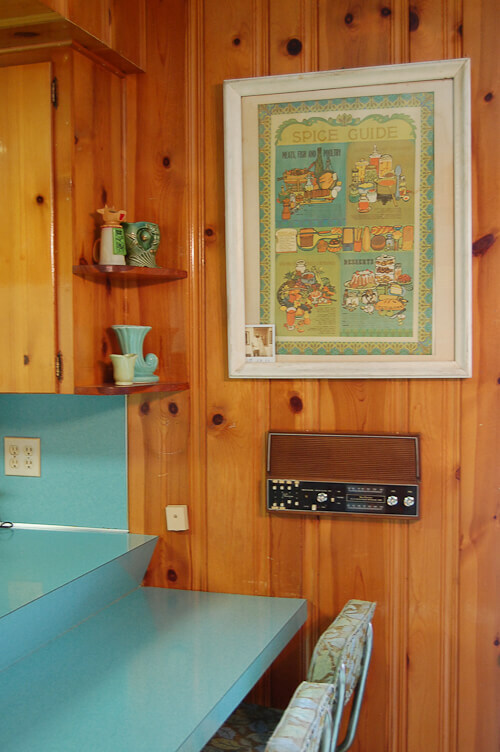 We even have the owner’s manual – when we moved in there was a file folder on the counter with every receipt for service and owner’s manual to everything in the house since the 70’s. 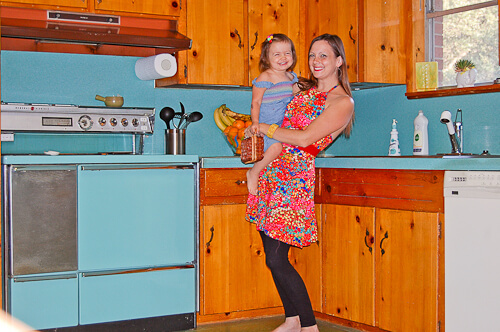 Thanks for thinking my dream kitchen is as awesome as I do! You would not be able to pry me out of this kitchen! I love it! You are so blessed to have been able to buy this house. Congratulations to you and your family! 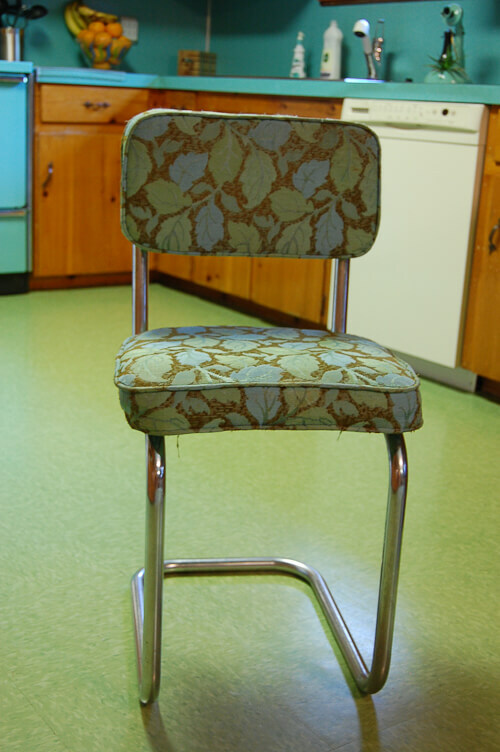 Although not as knotty as you I have a super 70s 80s kitchen. Comments such as “Why don’t you let my friend choose you a nice new kitchen?” make me cringe, the whole point being it’s not new just mellow warm and lived in. We love it. Love the idea for this site but you need a place on your menu to look at pictures of knotty pine rooms. A lot of people paint them because it is nearly impossible to find pictures of them decorated well. It’s hard to find ideas or inspiration! We have two knotty pine bathrooms in our house and I could use some help with décor ideas. 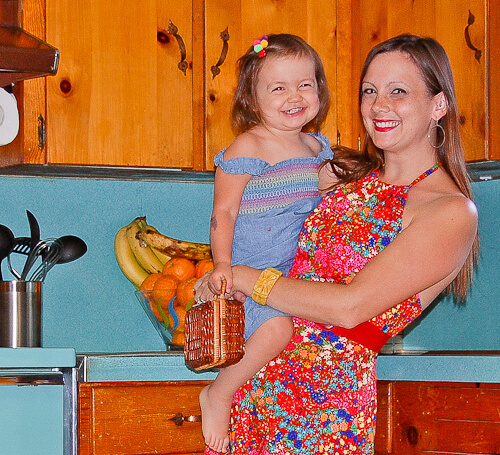 They both have been mish-mashed since the 60s but the wood walls are intact.